Home android nougat pixel Pixel C tablet update What's new in Android Nougat 7.1.2 for Pixel C tablet? What's new in Android Nougat 7.1.2 for Pixel C tablet? Google Pixel C tablet has just got some big changes with the new beta build of Android 7.1.2 Nougat. Online reports and screenshots have confirmed that the beta build brings, among other things, the Pixel Launcher to the Pixel C for the first time. Google has yet to officially highlight the new features, but the Pixel C tablet gains some changes that first debuted on phones. 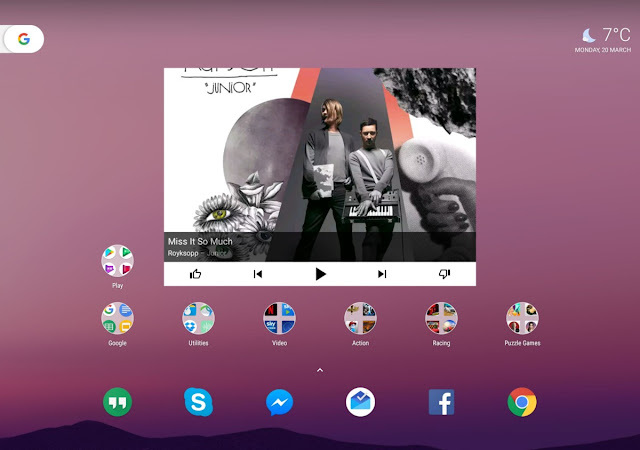 The Pixel Launcher replaces the Google Now launcher and adds a swipe-up app drawer and weather/date widget in the top right corner. Additionally, the navigation buttons now match the white style on phones. However, the most noticeable feature is a multitasking menu that takes better advantage of the larger screen. 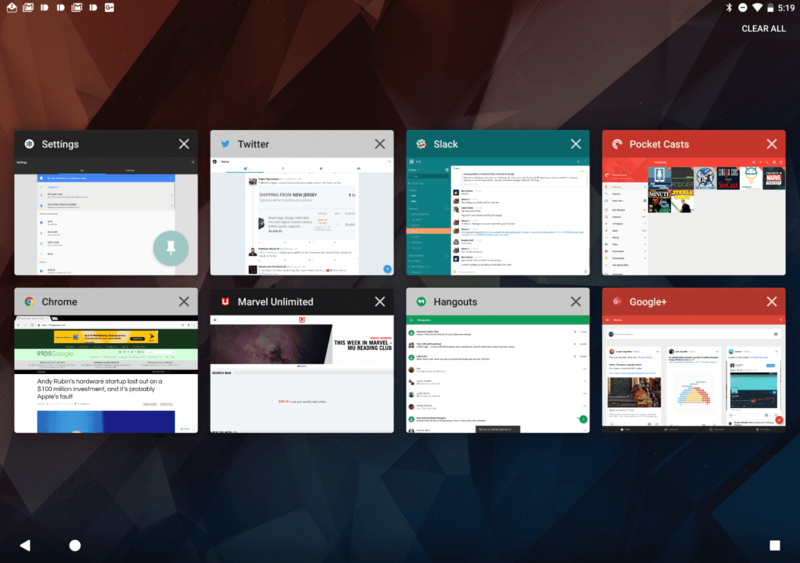 Apps are now displayed in a grid rather than as large cards you scroll through one at a time. Unfortunately, only the last eight apps are available with no ability to access older ones.